I know this may be something of a shock to some people, but it appears that there’s no escape from the threat of cancer from meat-eating – no matter whether you eat cheap and cheerful McDonald’s Frankenstein foods or organically-reared, Prince Charles’s best rare breed rump steaks. In fact, the findings are even more alarming for those who think they’re protecting their health and the health of their loved ones by spending so much more of their precious earnings on the latter. A 2017 study 1 (and why don’t we all know about these results by now?!) made some interesting discoveries. 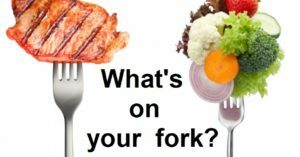 It’s no secret that there’s a proven link between meat consumption in general and the incidence of cancer 2 , and that this link relates to the presence of carcinogenic contaminants within and on the meat products. This is, by the way, ignoring the other proven cancer-causing elements within animal protein per se 3 . But how do organic sources of meat fare? Some of the most frequently detected contaminants in meat are several types of persistent organic pollutants4 (POPs) , and it’s accepted that many of them are carcinogenic 5 6 7 8 . 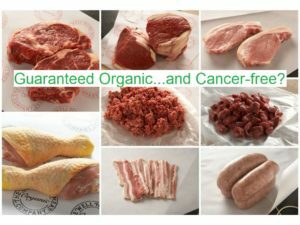 However, more and more people are hoping that they will improve their chances of avoiding these carcinogens (while still indulging in the meaty tastiness) by opting for what they believe are healthier animal flesh sources. And we are not just talking about red meat, but all meats, dairy and fish, to varying yet significant degrees. The result of this interest in ‘cleaner’ animal products can be clearly seen by the increase in sales of organic meat 9 . But, if environmental contamination by POPs is as ubiquitous as it’s thought to be by those in the know, then can the practices of organic food production prevent this contamination? They stated that the current pattern of meat consumption exceeds the maximum tolerable limits of contaminants which our bodies can deal with in order to avoid an ongoing carcinogenic risk. I don’t know why organic lamb consumption was picked out as being particularly carcinogenic, but for me the take away lesson from this study is that you’re always likely to be better off if you stick to what our bodies appear to prefer as their safest source of nutrition – that is, plants. 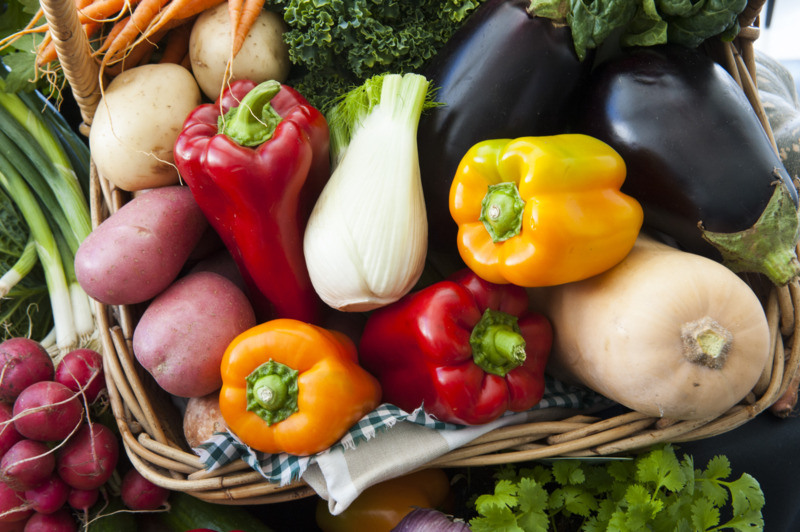 You simply don’t get any sort of shocking research findings like the above when you’re talking about plant food – whether or not it’s organically produced, sprayed, bottled, canned, salted or beaten with a stick!